The last time I bought red Converse All-Stars, I had just left Casper College. It was a time of deep pain and frustration. 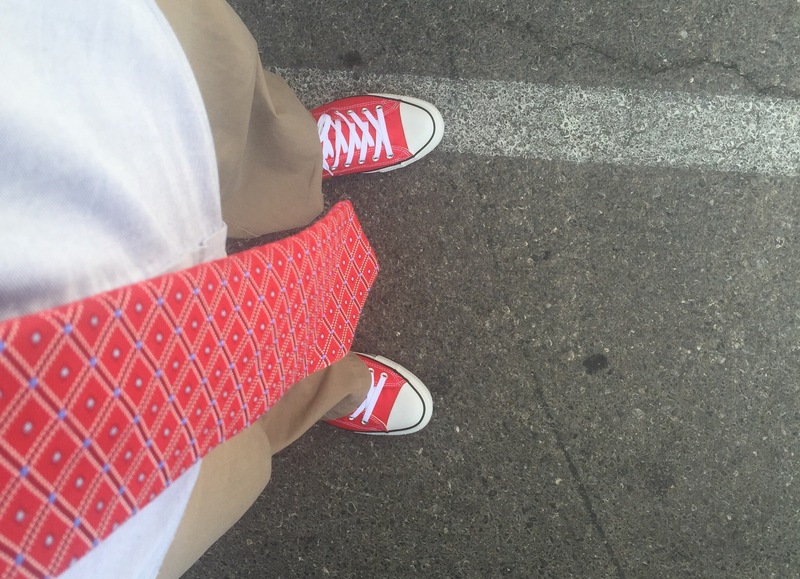 When we recently did a little back-to-school shopping, I decided to get another pair of red All-Stars. It was partially because their was a BOGO sale at Famous Footwear and Shem needed new athletic shoes. Shem took forever decided on shoes. So I had time to ponder what I should get for myself. At my size, shopping for clothes is not all that fun. However, shoes shopping is something I can do anywhere. As I wondered the isles, the red All-Stars spoke to me. I had worn my last pair until they fell apart. The heat of Las Vegas is particularly brutal on shoes. I have had blue All-Stars, maroon and gold All-Stars, and gray All-Stars since having my first red pair. Now it is time to return to the red. I am not in a place of pain and frustration. I have done a lot of healing. However, I am still searching. Today, I officially start at my new school. I have been working on my room for weeks (pictures to come). But today is the first day of my contract year. I haven’t been this excited about teaching since I started my 3-year-gig at BYU-Idaho back in 2006. A decade ago. I will be chronicling my year (and the years to come) here at Approaching Justice. Along the way, I will discuss pedagogy, curriculum, and a bit of policy and philosophy. Today, I just wanted to share with you my new shoes and matching tie. When I acquired my first converse all stars the choices were black or white. Yours is a nice look. Hopefully the year is as coordinated. Good luck.